The euphoria that followed the defection of three All Progressives Congress (APC) governors and 35 federal lawmakers to the Peoples Democratic Party (PDP) may have dissipated as the struggle for control of the structure in some states is threatening to tear the party apart. Daily Sun’s findings show that Kano, Kaduna, Bauchi and Niger States are the worst hit, with APC making efforts to woo back some defectors, especially in Kano and Kaduna States. This is even as Daily Sun gathered that the ruling APC has intensified efforts to win back former Education minister, Mallam Ibrahim Shekarau, to its fold. Before the defection, the PDP had agreed that in states where the defectors have an APC sitting governor, they would take 60 percent of the party positions in the state, leaving 40 percent for the old members. But where there is no sitting governor, and the defectors have a principal officer of the national assembly, it would be shared 50-50. Daily Sun also gathered that where there is no principal officer, such a ranking federal lawmaker will have 40 percent, while the old members will retain 60 percent. However, a special consideration was said to have been given to the former Kano State governor, Senator Rabiu Kwankwaso, who was said to have been offered 51 percent, while those on ground will have 49. But while Kwara and Benue States seem to have carried on, Niger, Kaduna, Kano and Bauchi seem to have run into troubled waters. Speaking on the development in Kano, a source close to the two major camps within the PDP accused Kwankwaso of being “unreasonable” by allegedly wanting to hijack the leadership of the party, a charge the ex-Kano governor dismissed as untrue. “Because we are talking off the record, I will be open and sincere to you. Honestly, Kwankwaso has not changed. We have a good chance of winning Kano if our leaders work together. 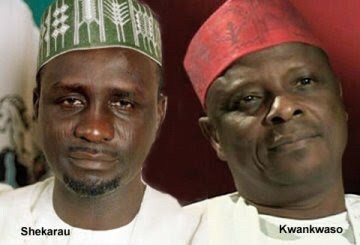 At the first meeting that was held in Kaduna after Kwankwaso’s defection, the former governor said he was there not for any meeting but to inform them of the written understanding he had with the national chairman of the party. “By the agreement, he said he was expected to produce the governor, half of members of the House of Representatives and one senator. And that 51 percent of the party structure will be handed over to him. The meeting was held at Wali’s residence in Kaduna. “But the other stakeholders, three of them in number (Shekarau, Wali and Senator Gwarzo) told Kwankwaso they were not aware of such an arrangement. After making his presentation, he stormed out of the meeting. Unfortunately, the next meeting that was convened between the stakeholders and Kwankwaso by the national leadership of the party was shunned by the senator. “Like you said, I can confirm to you that APC is making overtures to Mallam (Shekarau) with tempting offers. I pray and hope the leadership of our party handles this well, so that the opportunity of winning Kano next year does not slip off our hands,” the source added. But Kwankwaso’s media aide, Hajia Binta Speakin dismissed the charge against her principal, saying it is the handiwork of those who do not want PDP to win the state next year. Insisting that Kwankwaso and Shekarau are working together for the success of the party in the state, Speakin said “all the things you said party stakeholders are saying are rumours, spread by people who don’t want the PDP to move forward in Kano State. You are aware that after the defection, Kwankwaso personally visited Mallam (Shekarau). He has also met with Wali and Senator Hayatu Gwarzo. So it’s not true that he shunned or stormed out of any stakeholders’ meeting. All is going on well with the party and the major stakeholders in the state. “Just recently, we had a Sallah activity together. It is people who want to cause disunity among members of the party that are spreading the rumours, people who don’t want PDP to win the state. But we will put all of them to shame,” she declares. Also speaking on similar development in Kaduna State, a prominent member of the PDP disclosed to Daily Sunyesterday that unless the party’s national headquarters intervenes, the resolve by the party to sack the incumbent governor, Mallam Nasir El-Rufai may become a pipe dream. “We signed an agreement with the party before we came in. we did not come in as individuals, we came in as group. And during the negotiations, we agreed on sharing formula. This agreement has been implemented in Benue and Kwara. But we are having issues in Kaduna State. And only the national headquarters of the party can resolve the impasse. “The earlier their intervention, the better for the party and it will help our cohesion ahead of 2019. But if we all pretend that all is well, when all is not well, we will pay for it dearly. Some of our people are being wooed by the APC to come back,” the PDP source from Kaduna said.